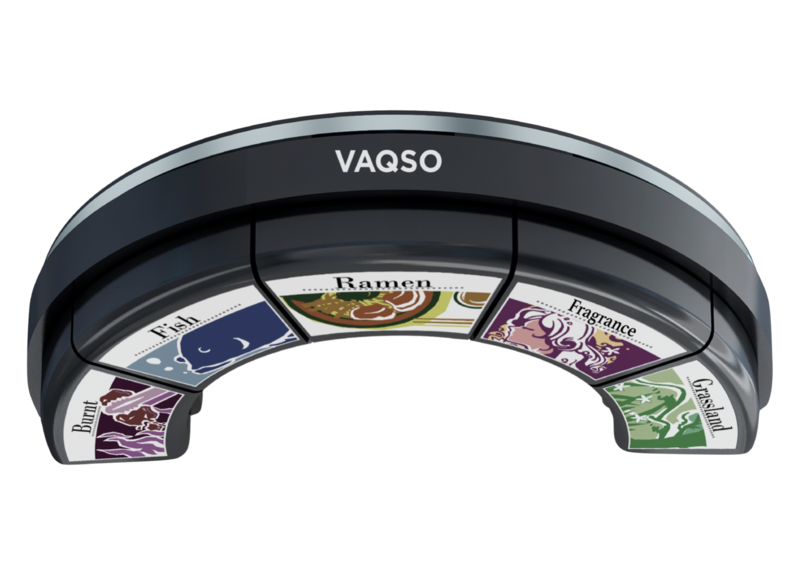 VAQSO VR is a device that smells in conjunction with VR images. By linking the VR image and the smell, VR experiences with higher realism become possible. You can use by adjusting the smell according to the content, replaceable up to five different scent cartridges at a time. Currently 15 types of smells available ranging from smell of hot coffee to smell of zombies (to be expanded further in the future). For corporate customers, we also accept customized scent development at US$ 3,000 per type. Developers can incorporate the action of instantly switching smells to VR content or momentarily erasing smells by using the free APIs released by VAQSO. Depending on the VR image and the action of the game, the scent interlocking smoothly can bring a user experience that has never existed. Note: There is a possibility of a bug depending on usage and environment because this device is not mass production for general consumers. We are now making improvements for mass-produced products. We appreciate your understanding. · Use microUSB/USB cable to connect the device. There are three cases that the operation is unstable due to insufficient voltage depending on the PC. • When turning two or more fans at the same time, the operation may become unstable. In that case, take measures such as switching fans alternately operating at high speed. We are sorry that some product shortages have occurred. We will update it as soon as it is ready.